Micro50 Eco Degreaser | Looking for Micro 50? Looking for Micro 50? Try Petro Buster! 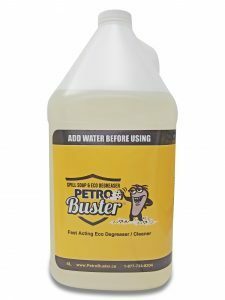 That brand is no loner on the market, however Petro Buster is the same formula and was brought to you in part by the efforts of Bill Fligg, the President of Petro Buster Inc. The companies involved with Micro 50 decided to discontinue their marketing efforts, Bill was disappointed by this decision. A year after this decision was made Bill left that company and was asked by Engineers, Canadian Oil Heat Association and others to bring the formula back to market so Petro Buster Inc. was born in the fall of 2014. Look at the Micro 50 news coverage Video below from Dec 29 2011 where Bill Fligg is being interviewed about what the formula does. Micro 50 news story Dec 29 2011 with Bill Fligg President of Petro Buster Inc.